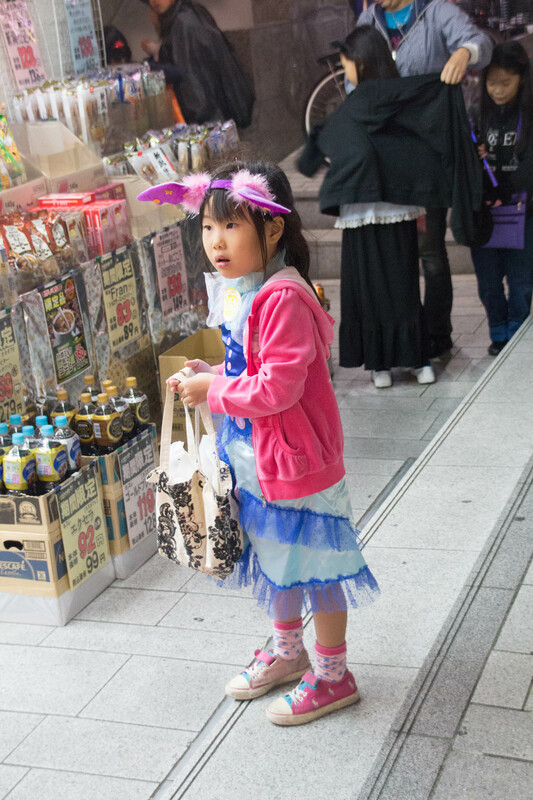 Based on the displays in the 100 yen stores, you would think that Halloween is huge in Japan. And it is, sort of–just not quite as Americans think of it. 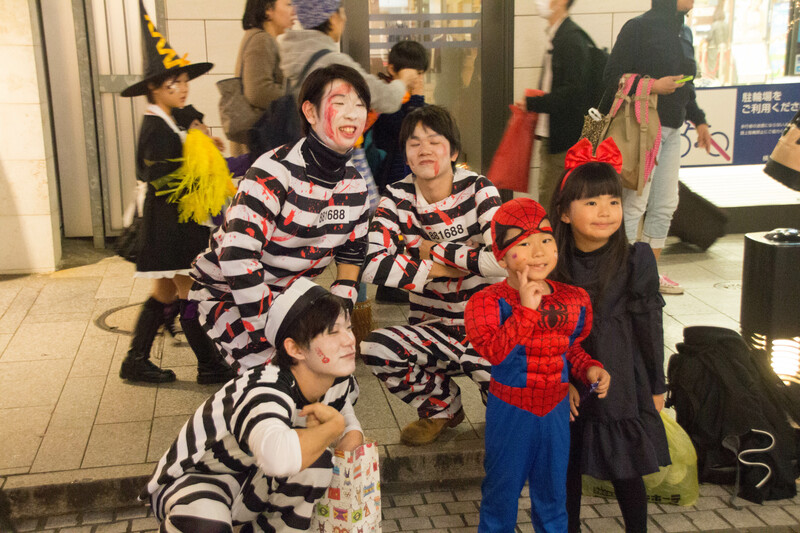 To American kids, Halloween means two things–costumes and trick and treating. 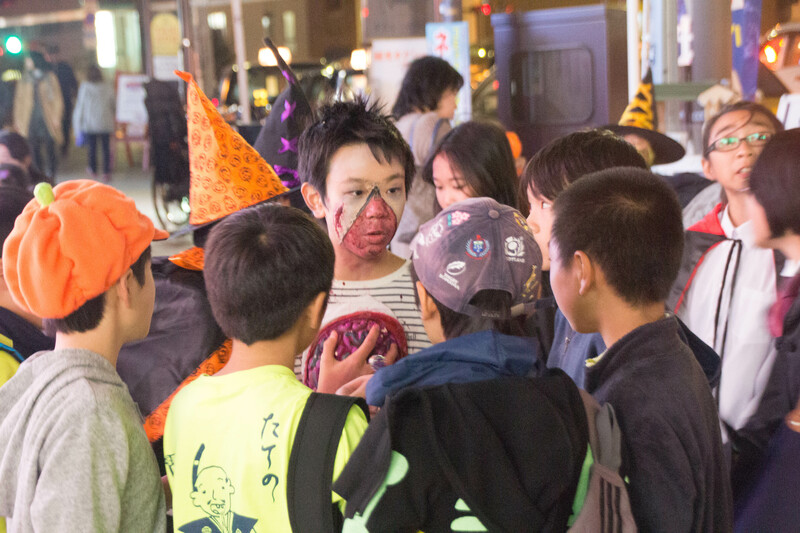 The Japanese nail the costume part, but the free candy to strangers thing needs a little work. 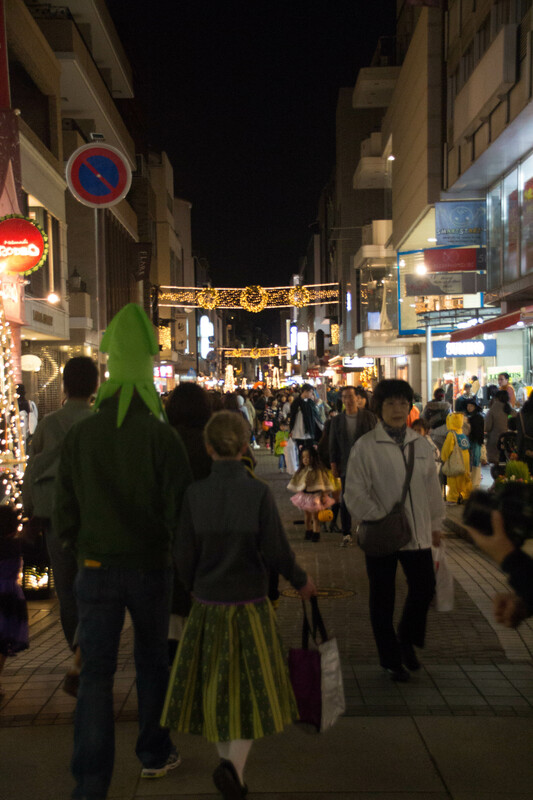 Late afternoon on Halloween we headed down to Motomachi, a fancy street of fancy shops. I heard that the street gets jammed and all of the stores give out candy, so it seemed like a safe bet as far as scoring Halloween loot. Crowds? Check. 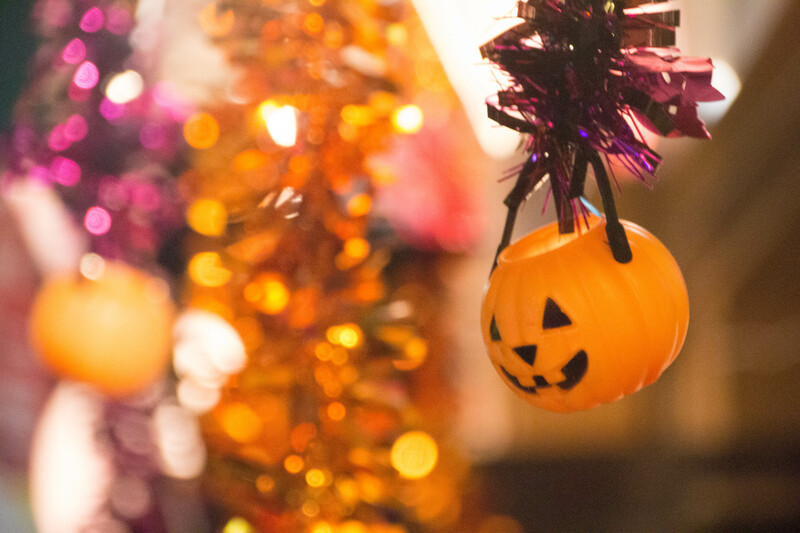 Trick or treating? Not so much. 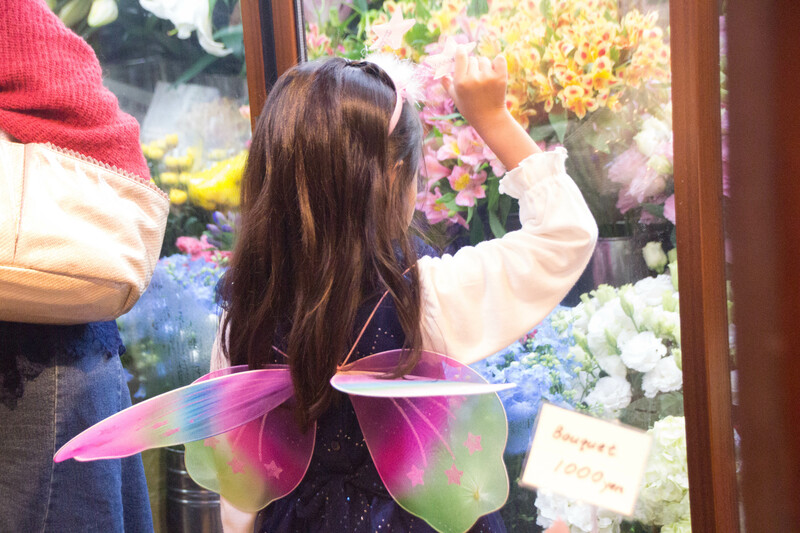 We noticed huge lines with dozens of kids in costumes lined up, then saw that they were waiting for the chance to say trick or treat…at one store. 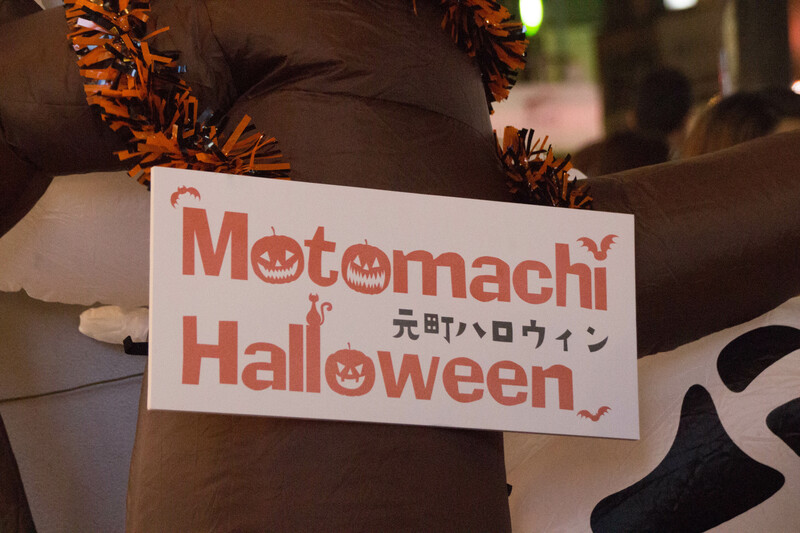 It certainly was not a door to door thing, and only a few places gave out candy. I saw a few parents holding some sort of flyers that likely explained which stores to hit. 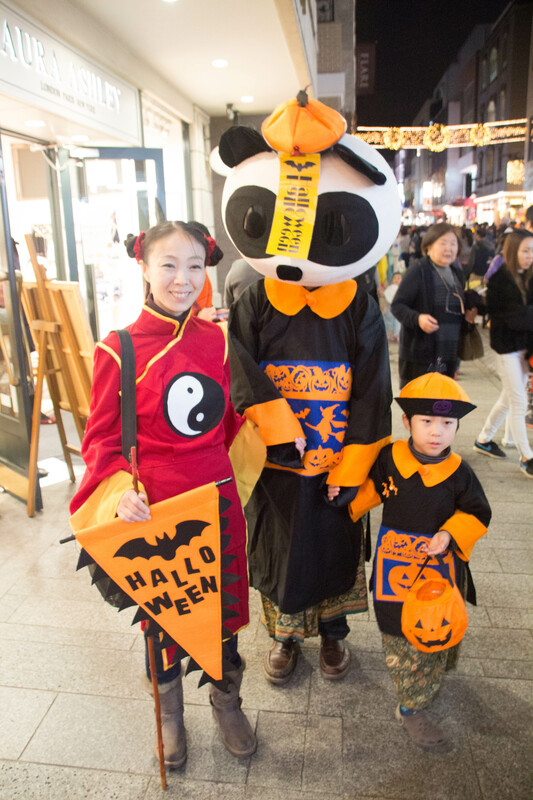 We soaked up the general Halloween-y ambiance then headed to a ramen shop for a quick bite before heading home. 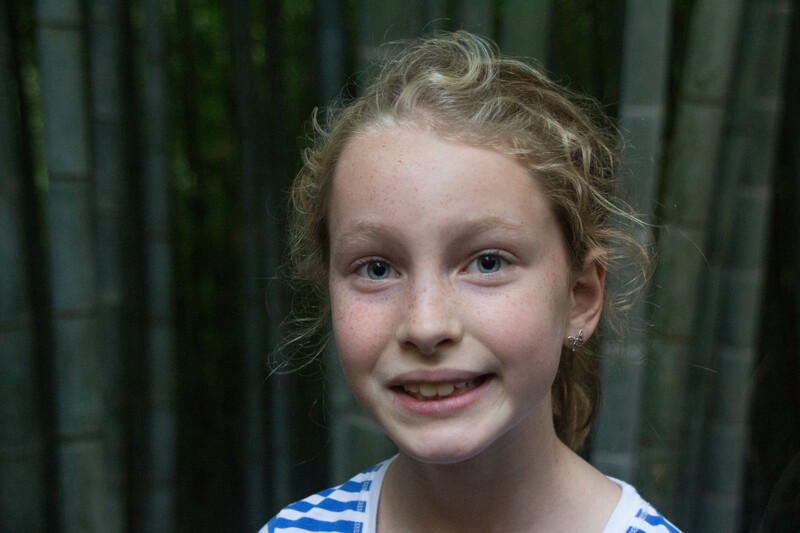 Yesterday I chaperoned a school field trip to the zoo. 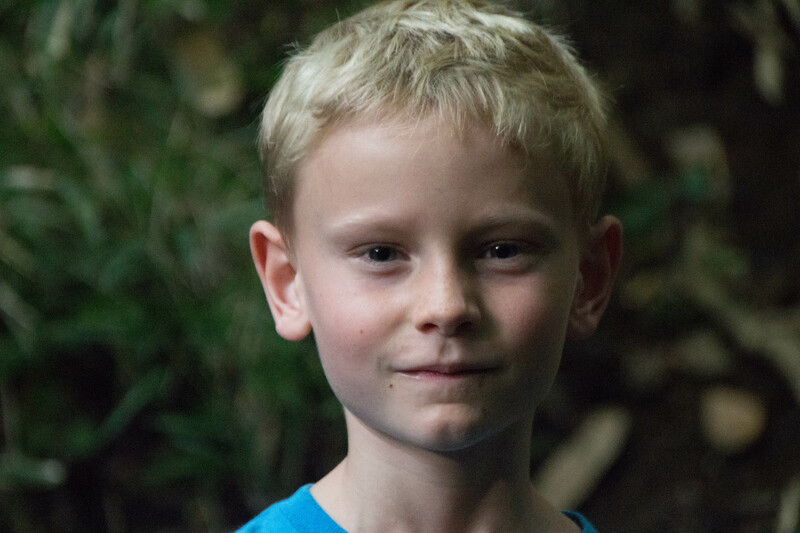 I lucked out with a lovely group of kids, but I was still pretty wiped and not up for cooking dinner. The kids have noticed Domino’s pizza out in town and have begged to try it. So last night we did. We’re not huge pizza order-ers, even back in the States. It’s not about the righteous, that-stuff-will-kill-you chefiness in me, either. I just don’t really care for delivery pizza and would rather consume those calories on my better, home-made pizza–or something else altogether. So Domino’s! In Japan! They launched an English-language website several years ago, making ordering pretty straightforward. You call that a large? The biggest differences? Basically, the Japanese version runs smaller and more expensive. A medium pizza in Japan (9 inches) is smaller than a small pizza in the U.S. (10 inches). The most expensive pizzas on the Domino’s Japan menu top out at 3950 yen, or about $32. That said, sticking to the promotions and coupons brings the price down to more reasonable levels. 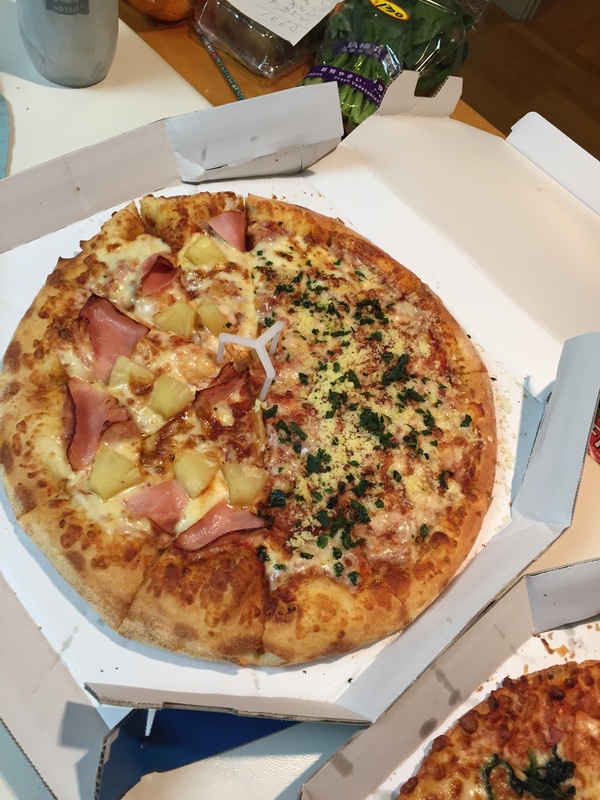 After coupons and a Buy One Get One Free deal, I paid 1400 yen ($11.59) for two 12-inch pizzas with two toppings on each. Many toppings are the same–pepperoni (though it’s slightly different than the U.S. version), veggies like peppers and onions, sausage, and so on. The Definitely Not the Same toppings? Potato, corn, mayo, crab gratin, and bouillabaisse sauce, to name a few. 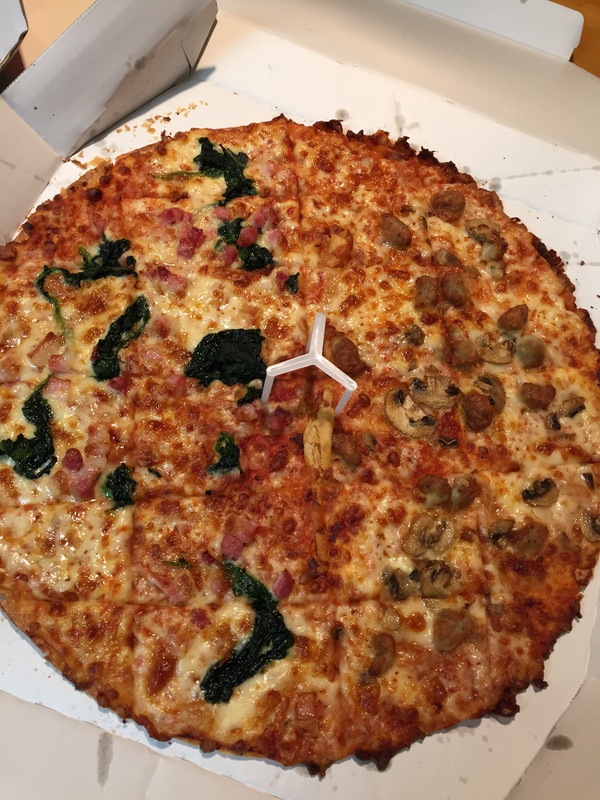 You can choose two toppings on the whole pizza, or two toppings per pizza half for the same price. So one pizza was ham-pineapple on the left, parm and basil on the right. The other was spinach-pancetta on the left, Italian sausage-mushroom on the right. Our pizzas arrived via moped 20 minutes after ordering. 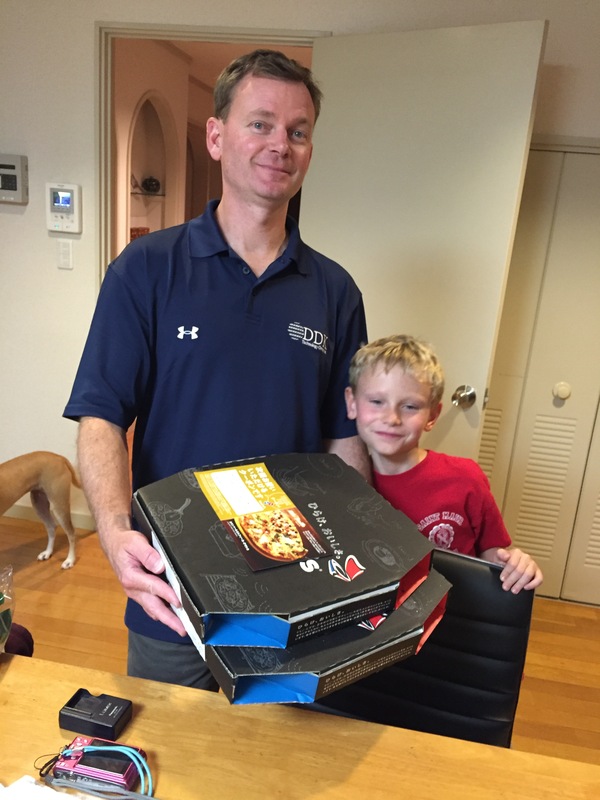 Mark deemed the pizzas hotter than in the U.S.
And they tasted like, well, Domino’s. Last week the kids’ school closed for fall break. 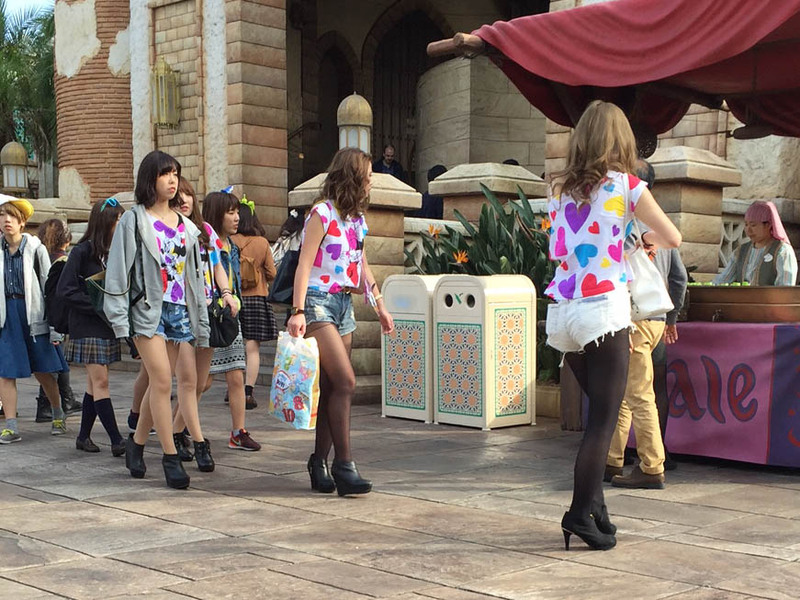 We spent a day at Disney Sea, seeing how the Japanese do The Mouse. The basic gist is the same: FastPass, crowds even mid-week, etc. 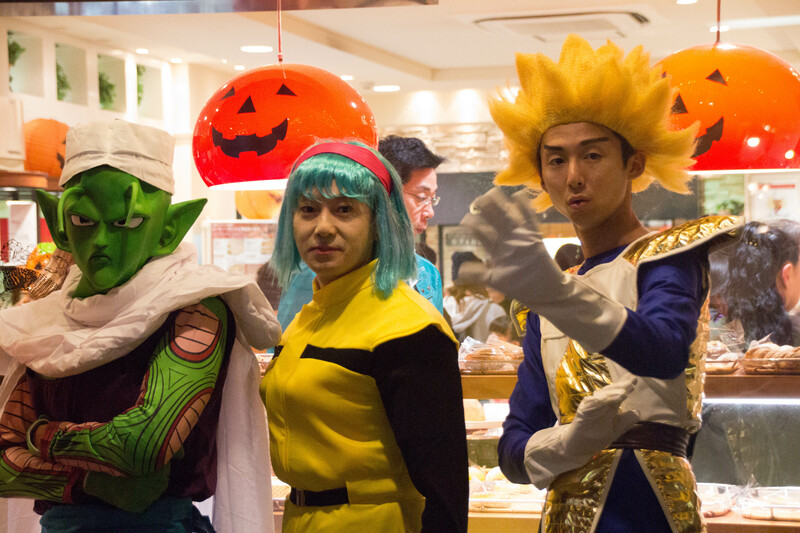 But Japanese visitors really nail one thing, and that’s dressing like their pals. Plenty of American kids and even families will wear matching hoodies or t-shirts at amusements parks. 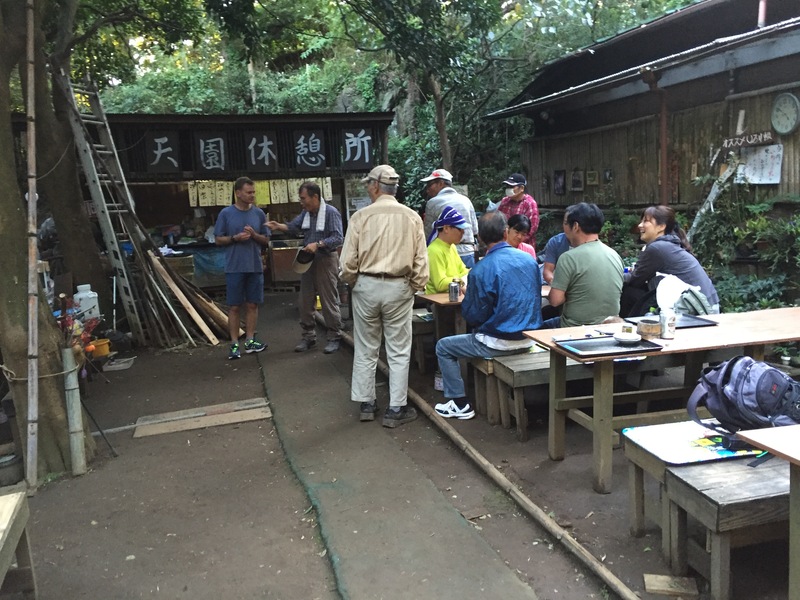 But Japanese visitors really run with the idea. 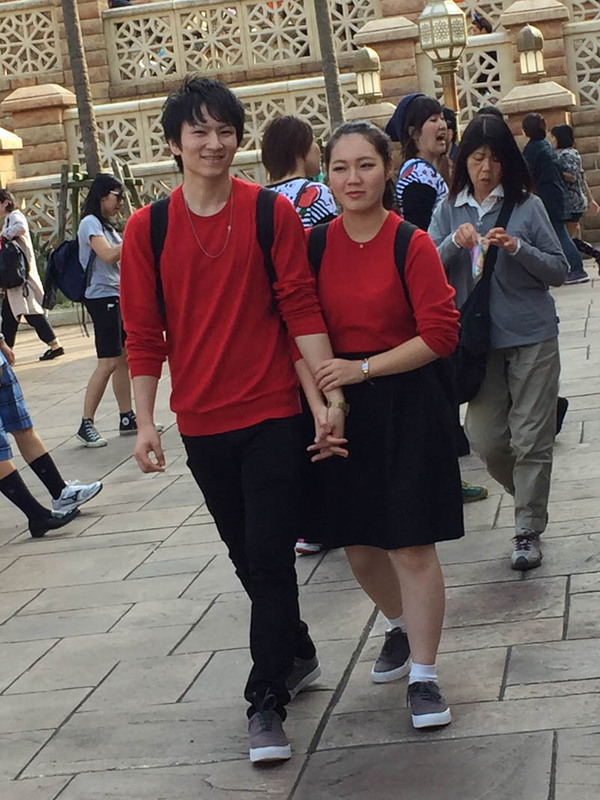 The really outrageous, obviously-agonized-over outfits stand out right away, but I also noticed plenty of Not Necessarily Disney Themed But Still Matching Outfits, like this couple. 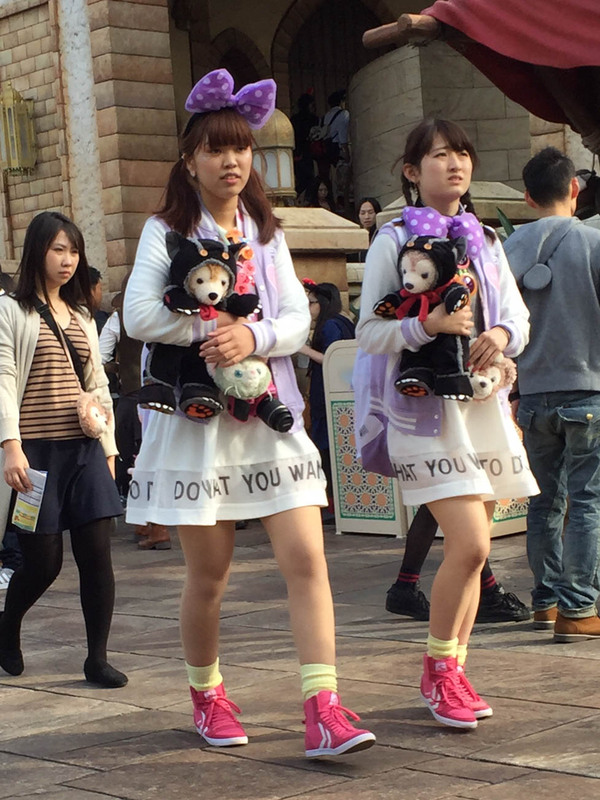 Not very Disney, as outfits go–though you could argue that the color scheme is very Mickey. I almost wore *exactly* the same shoes! That would’ve been embarrassing. 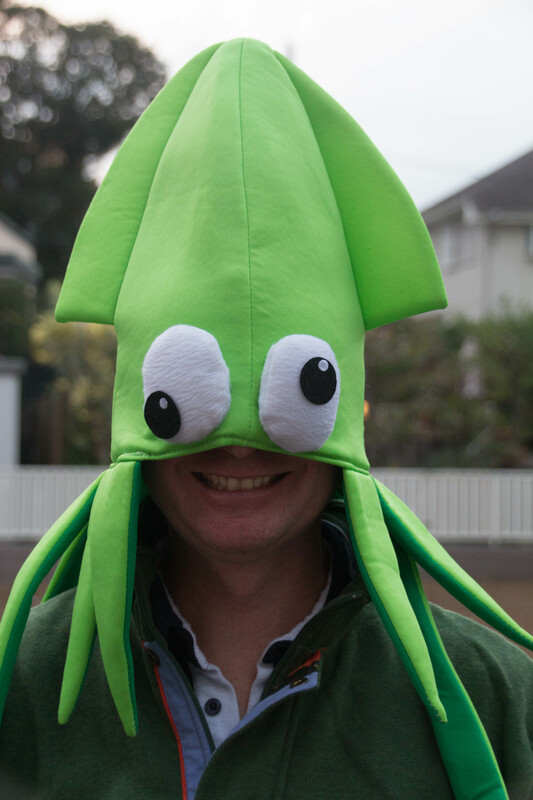 Also the hats. 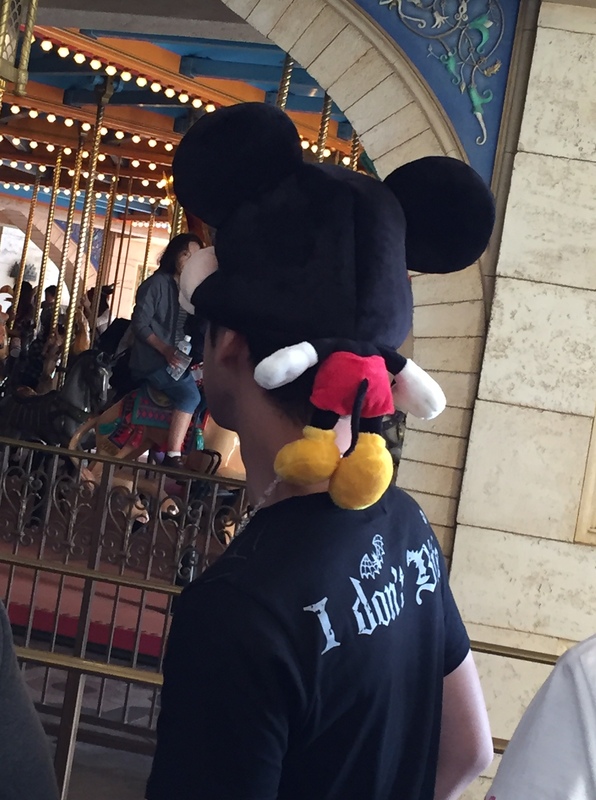 This example had a giant Mickey in front, oddly small Mickey body coming out the back (kind of a Mickey mullet!). And this was on a grown man with a kid. Another thing I don’t quite get is the popcorn. 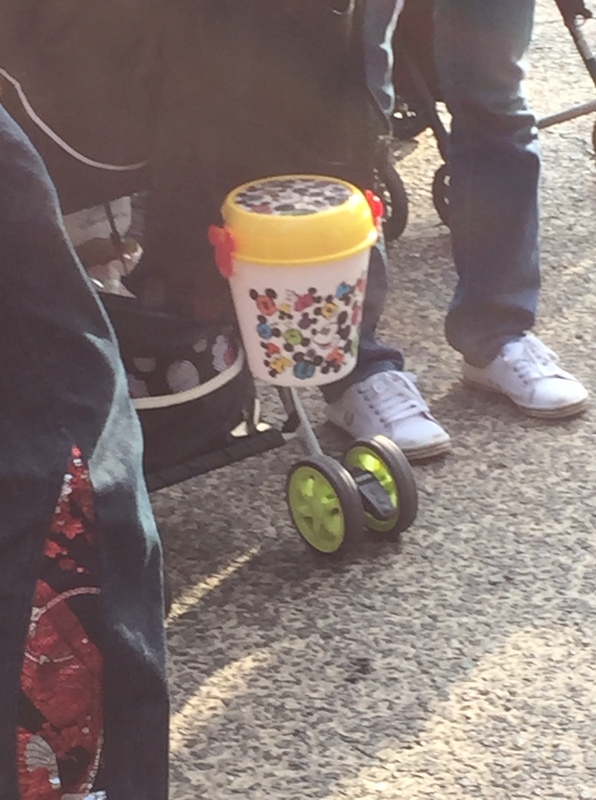 Popcorn buckets are a major, major Thing. At first I thought that you buy a bucket (2100 yen, or about $17) and get free refills all day, based on the impossibly long lines. Nope. Each refill costs another 500 yen, or $4. The queues looked they stretched on for 30 minutes or more. I don’t get it, though I admit the curry popcorn smelled pretty awesome. The famous 2100yen/$17 popcorn bucket that earns you the chance to wait another 30 minutes and 500 yen for each refill! 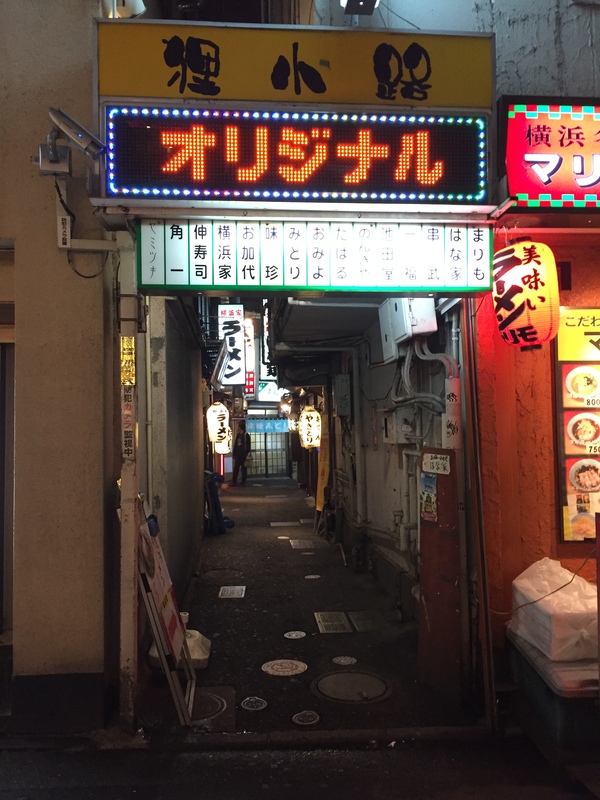 Tanukikoji alley, with seventeen hole-in-the-wall restaurants. Looks like a movie set, doesn’t it? This past Saturday the elder child headed out to a sleepover, so the menfolk and I went out for a rockin’ Saturday night. We headed off on foot to Yamate Station, a nearby train station. 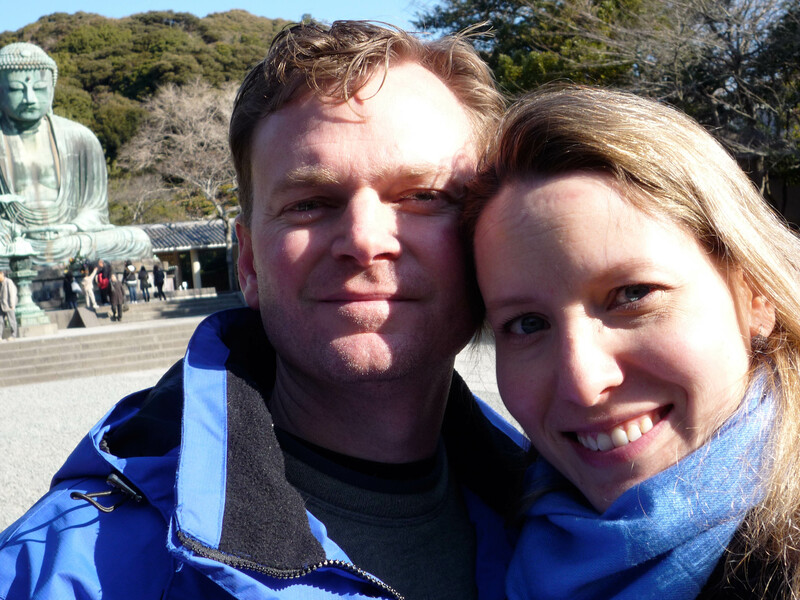 We rode a few stops and got off the train at Yokohama Station. 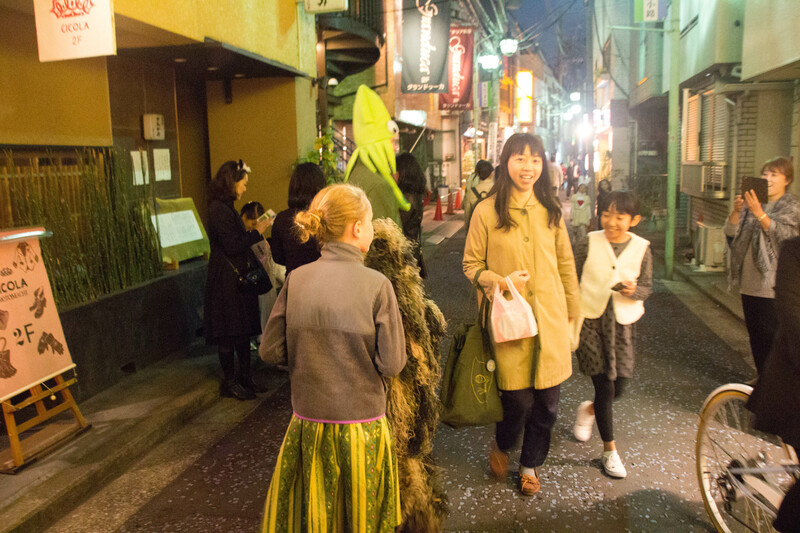 Our destination: Tanukikoji, a pedestrian alley with seventeen restaurants tucked inside. Glass, steel, and neon surround sleepy Tanukikoji, just steps away from the bustle of Yokohama Station. 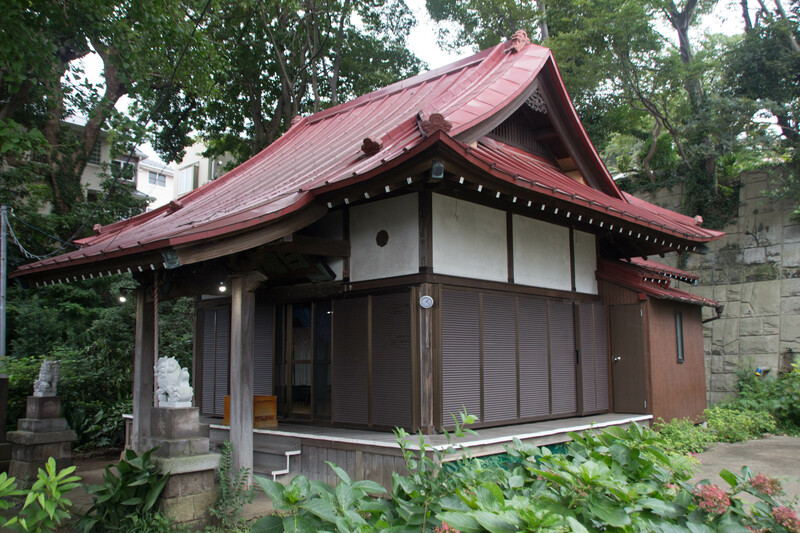 Tanukikoji’s restaurants date to the 1960s, though they look much older. Cy tucks into a bowl of ramen. Despite the history of the Yokohama area, the buildings are all fairly new. The Great Kanto Earthquake of 1923 did a pretty solid job of completely leveling the city and its buildings, as did aerial bombings during World War II. So pretty much any structure in Yokohama was built post-war. Cy guards the “shared” order of gyoza. We started wandering Tanukikoji and let Cy pick where we would eat. He chose a ramen shop. Mark and Cy ordered ramen and gyoza, and I pointed to a picture on the wall. I had no idea what it was called, but it looked delicious. It was. 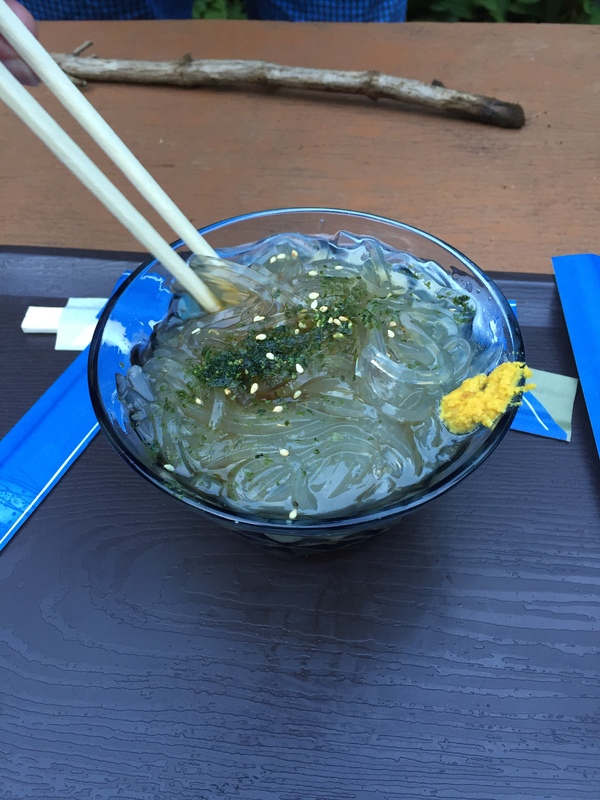 Abura soba, I think. Delicious, I know! 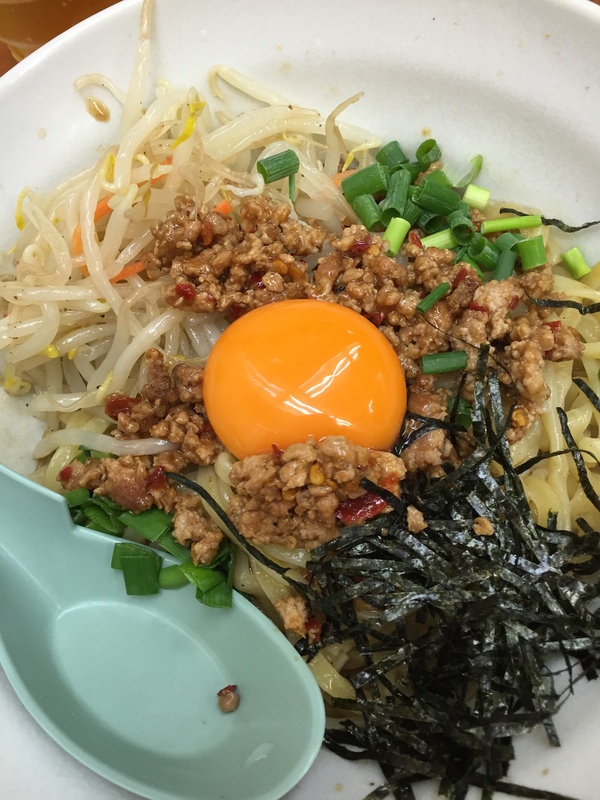 I’m pretty sure that I ate abura soba, a broth-less ramen dish with udon noodles, bean sprouts, slightly spicy ground pork, shredded nori, scallions, a raw egg, and a splash of seasoned broth at the bottom. It came with a big spoon which means mash it all up and enjoy! The egg thickened the sauce perfectly–just like carbonara. 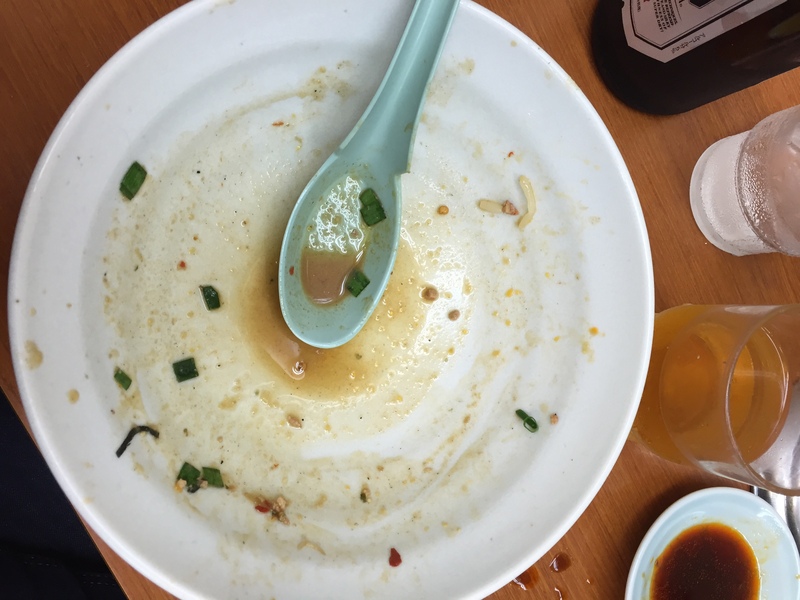 Abura soba, about three minutes later. I could have eaten a second bowl. Shortly after we sat down a father with two small children came in. I asked Mark to spy on what the kids were eating: plain rice and noodles. The father eventually added a slice of pork, but the kids mostly ate white food. Just like American picky eaters! I’m not criticizing the dad or the kids’ eating habits. 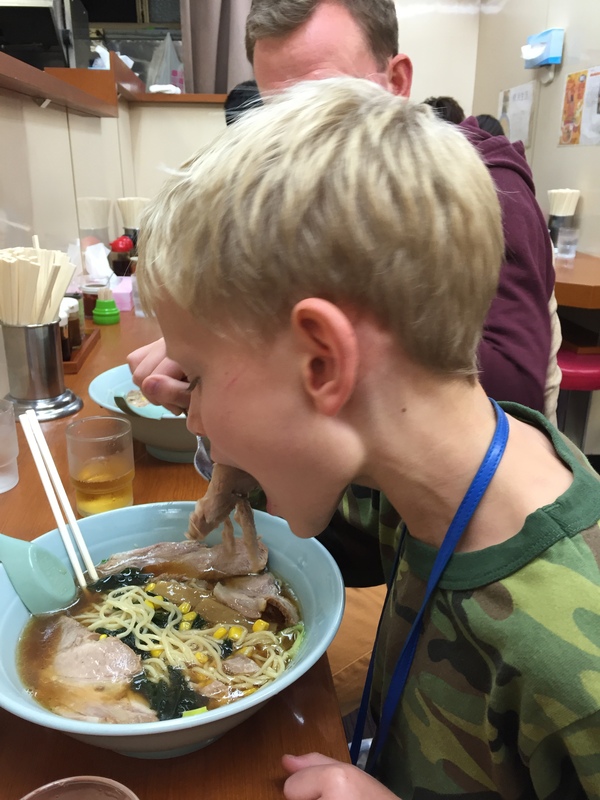 I just point this out for the benefit of parents who hear well-meaning but irritating comments that typically begin, “You know, in India and Japan children eat just like their parents….”. Maybe some do. 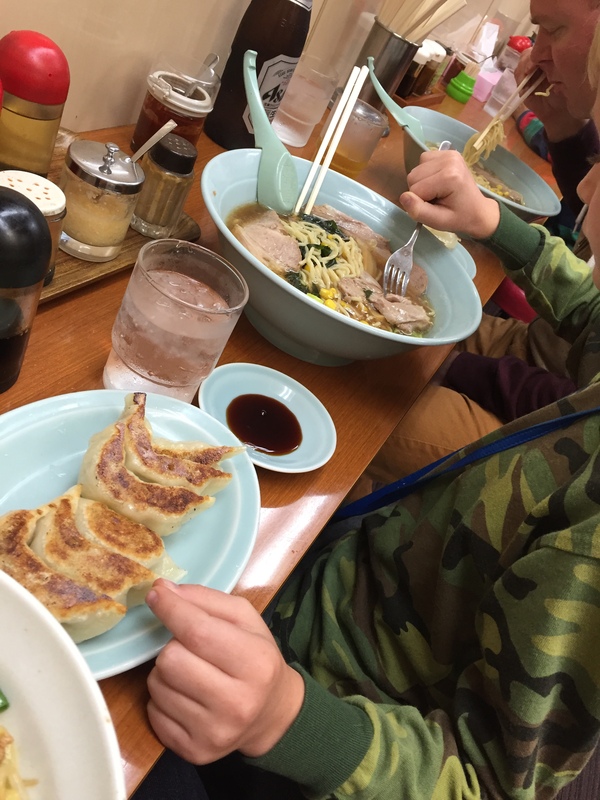 But at least two young Japanese children prefer plain white rice, just like American kids. And that’s OK. 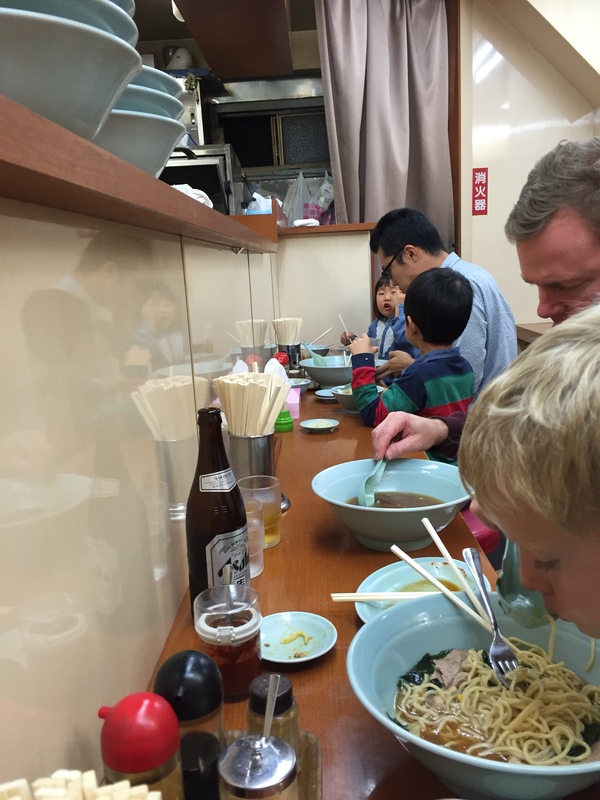 Spying on a Japanese dad and two small kids–white rice and noodles all around! OK, it’s probably not fair to call my Japanese oven crappy. Perhaps “not suiting my needs, or bakeware” is a more diplomatic description. I’ve used the oven a bit since moving in about six weeks ago, but until now I haven’t mustered the courage to bake for real. 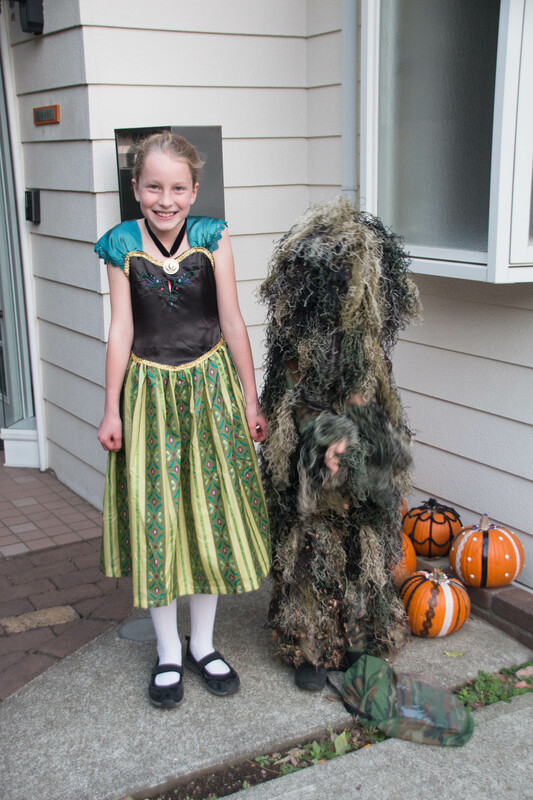 Elder Spawn turns ten this weekend, and we’re hosting eight of her friends for a Halloween-themed birthday party. 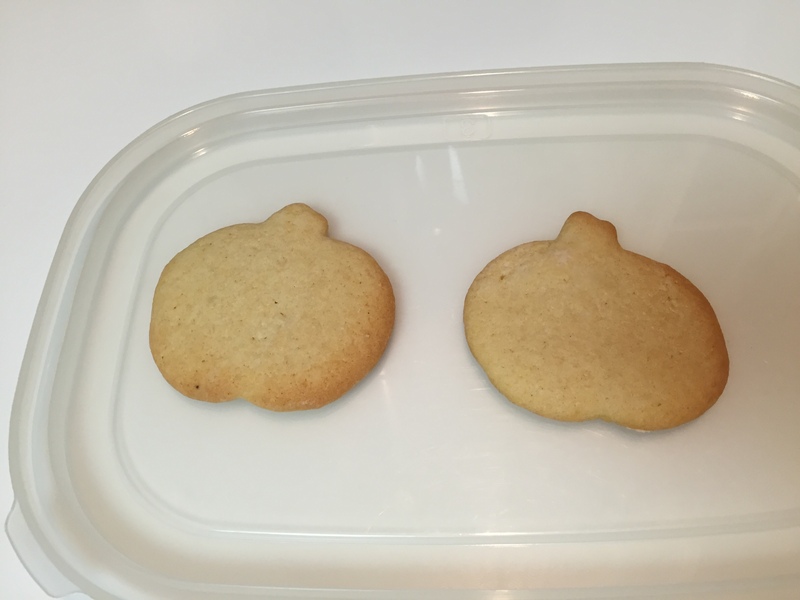 One of the activities includes decorating sugar cookies, which necessitates baking said cookies beforehand. When packing up my U.S. kitchen back in July, the cookie cutters somehow stayed behind. The bin of pastry bags and tips that sat right next to the cookie cutters made it–but whatever. 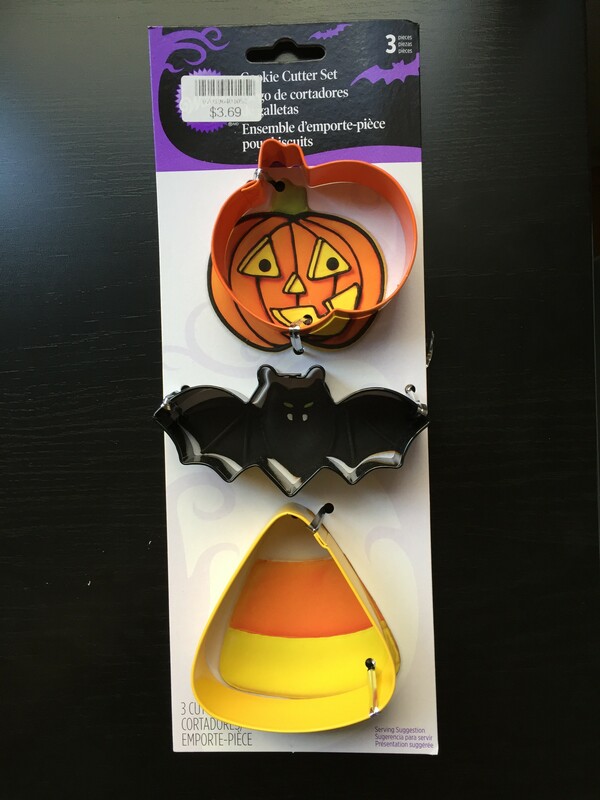 The Navy Exchange on base carries all kinds of housewares, and I picked up this trio of cutters for just under four dollars. Aren’t they the cutest? 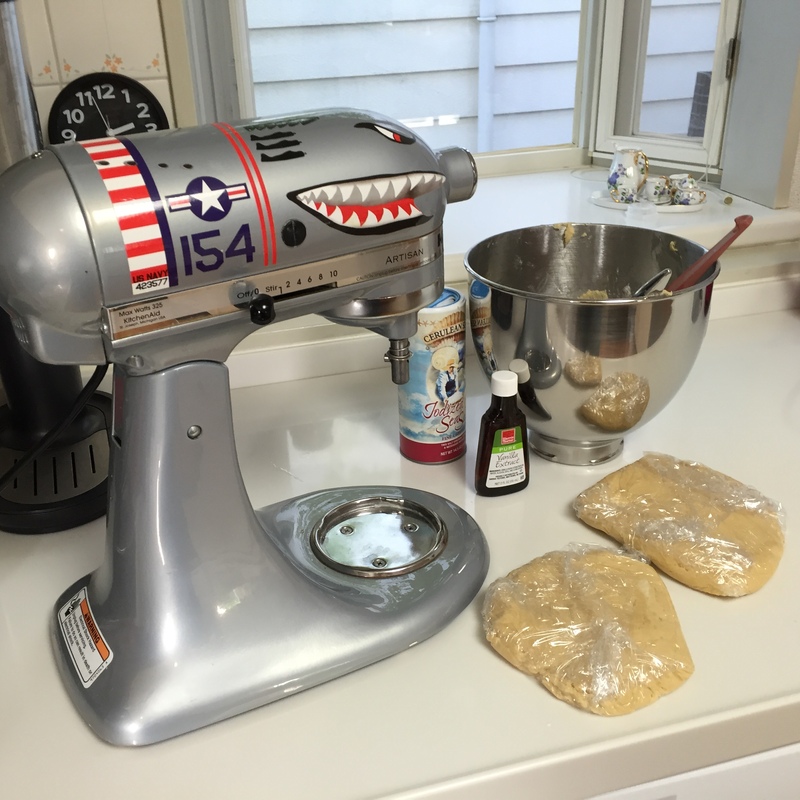 Mixing up the dough with my trusty standing mixer is the same at home and in Japan, right? Not so fast. Darn those grounded plugs! 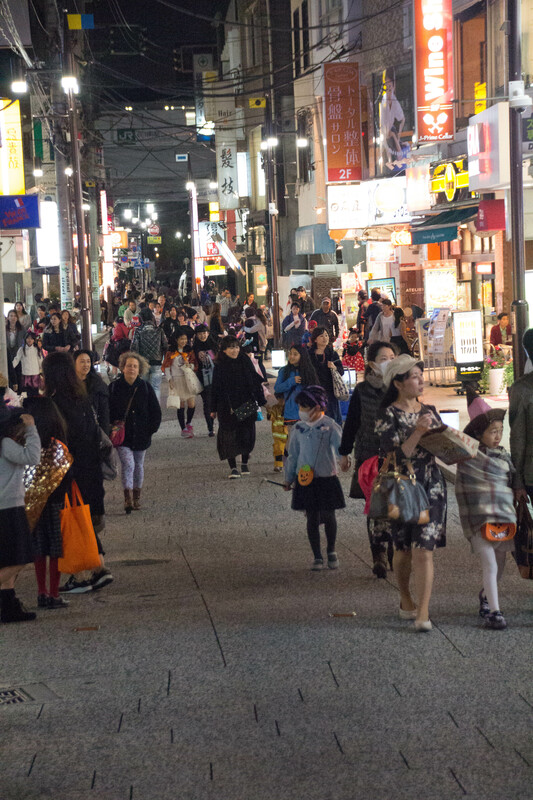 Japan’s electricity is roughly the same as in the U.S.–100V versus 110V at home. Most things run the same, only a little slower. So phones and computers take a little longer to charge. Plug-in clocks don’t work, though–they run slow and lose time. Back to the outlets. 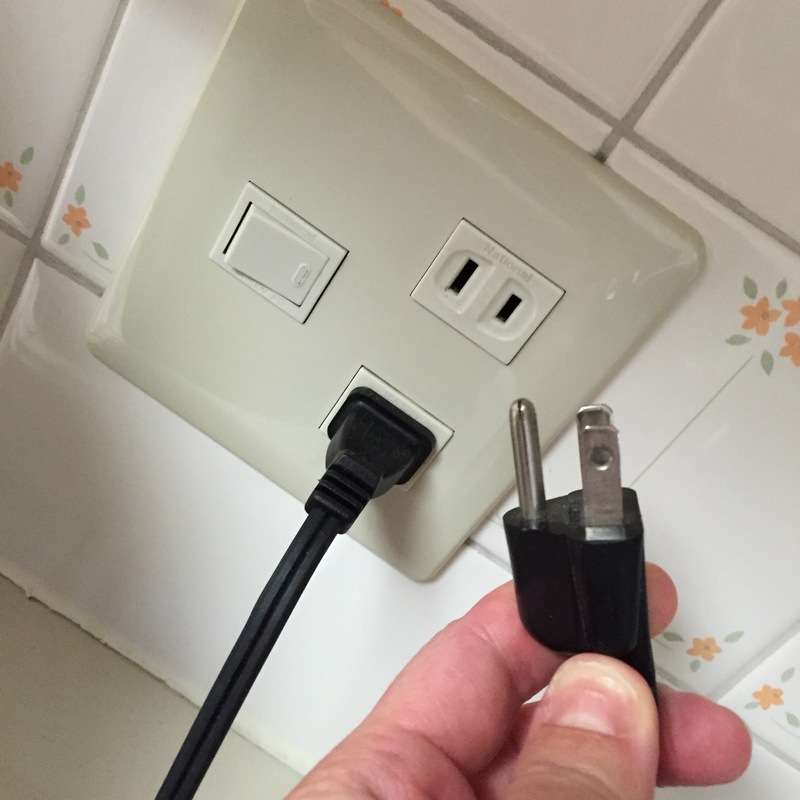 Most Japanese outlets lack the third hole for the grounding plug. Thanks to the American taxpayer, we’re covered! Meet my friend the Trans Pal (Snicker. I know, right?). 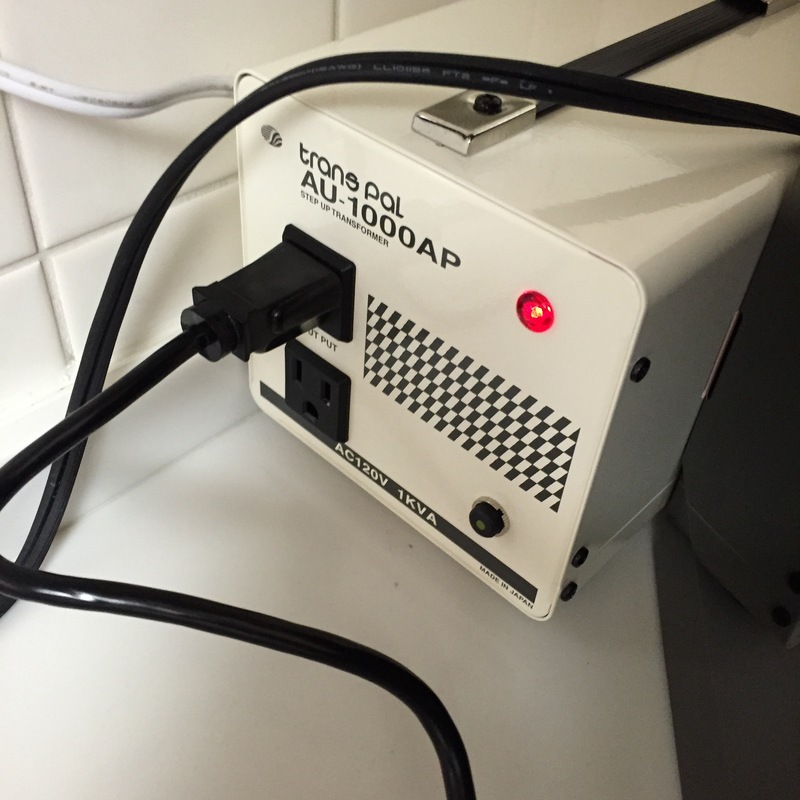 The Navy housing office issued us two of these transformers, allowing us to plug in up to two grounded appliances at once, four if we use both transformers at the same time! Livin’ the dream. So I mixed up my cookie dough with my trusty, tricked out KitchenAid mixer and set the dough in the fridge to firm up. On to the next hurdle: the baking sheet. You civilians call it a cookie sheet. We pros call these sheet trays, and usually by size. If you’ve ever ordered a sheet cake from the grocery store bakery then you have likely heard of full sheet, half sheet, and quarter sheet sizes. 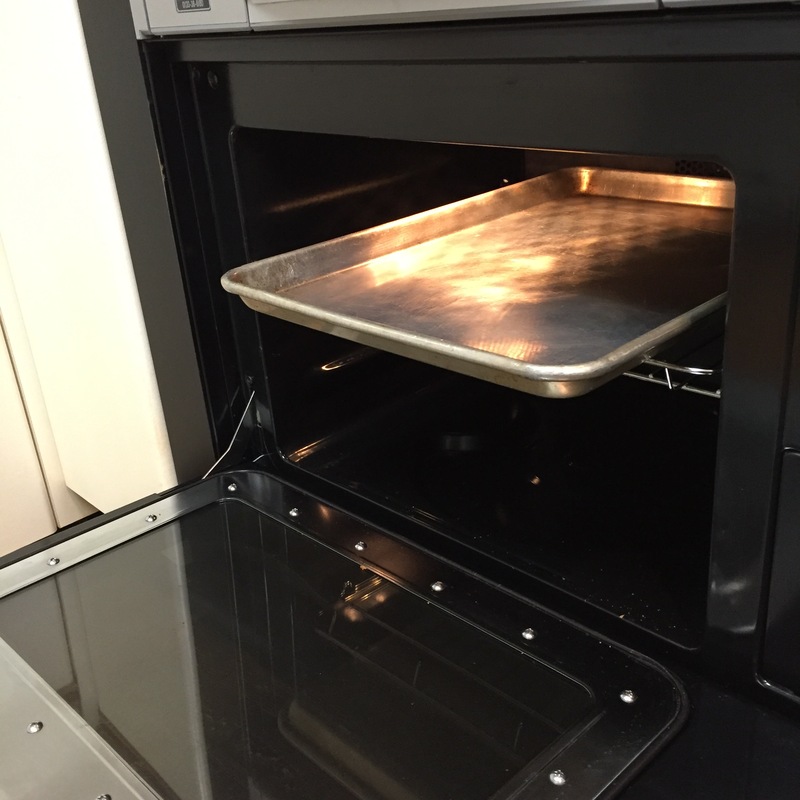 Full sheet pans fit in commercial ovens; home ovens usually hold a half sheet pan without trouble, and you can typically bake two or three sheets of stuff at a time depending on how many shelves your oven has. The Japanese oven has one wire shelf, and the only Western sheet pan that fits is a quarter sheet. The half sheet is just a hair too long. That wire shelf doesn’t pull out and stay there. You know that annoying extra bump in an American oven that you have to clear with the oven rack by lifting the rack up, and it’s always such a hassle and you can’t get the ^%#$%&@!! oven rack in correctly most of the time? That bump keeps your oven rack sticking straight out and parallel to the floor when you slide out the rack. My oven lacks this bump, and the oven rack falls if you pull it out. 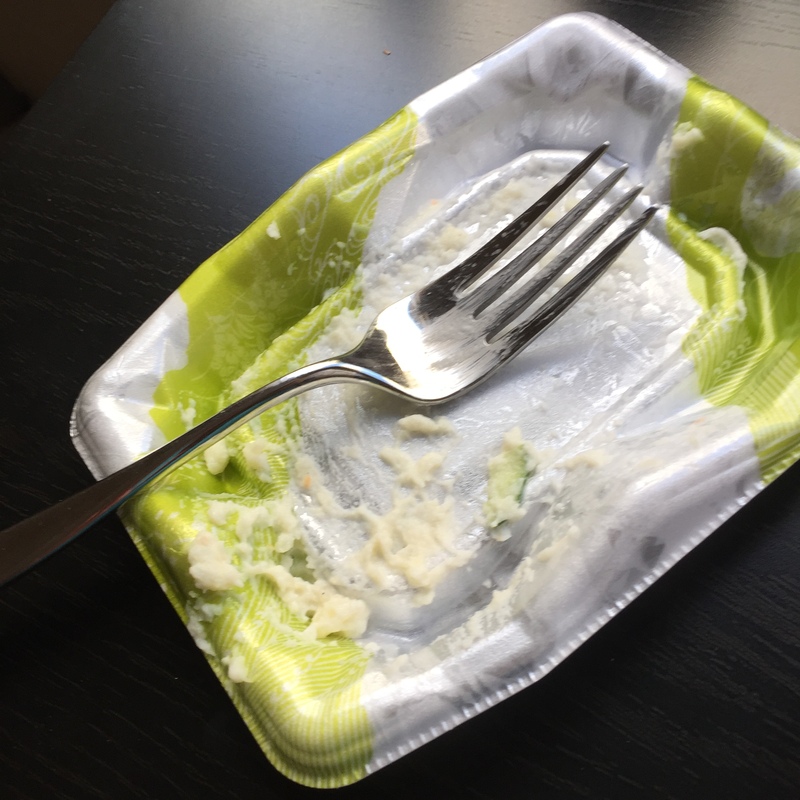 If you happen to have, say, a tray of hot lasagna on the rack while making this discovery, you likely have a ER visit in your near future for the burns on your ankles from molten cheese. Thankfully I learned this lesson with a baguette I was toasting up. A few crumbs on the floor, a Five Second Rule application…and warm bread and lesson learned! 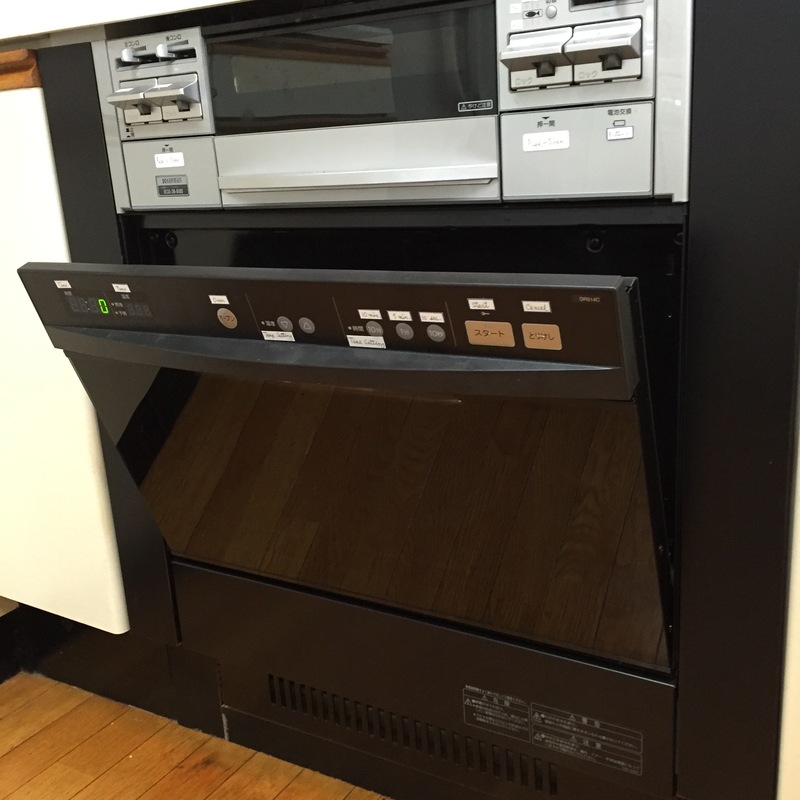 In addition to the single wire rack, the Japanese oven came with these two solid metal shelves. 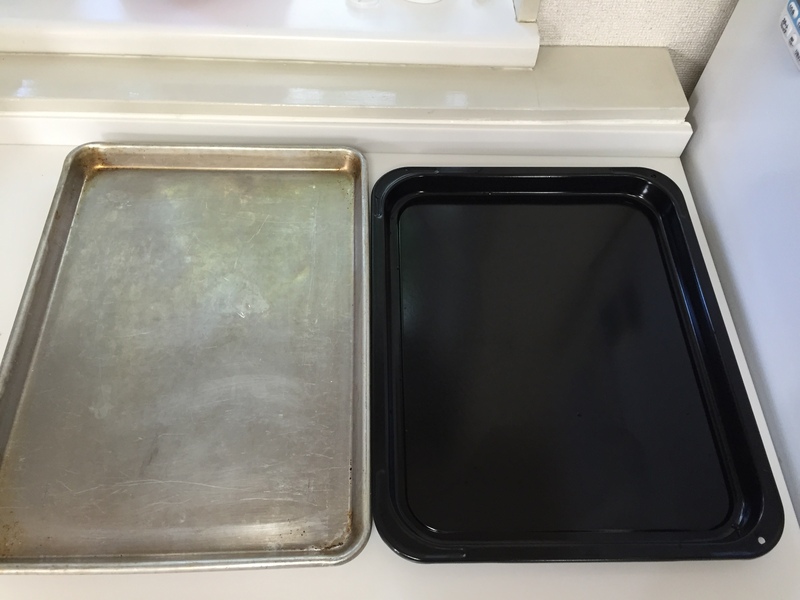 My expat friend who is American but has lived in Japan for over 20 years tells me that this is the baking sheet. I can’t imagine what I’m supposed to bake on it though, since it’s not quite flat. So my choices: bake one quarter sheet of cookies at a time, which will take me approximately 47 years of bake time; or bake two not-quite-flat sheets at a time. I opted for the not-flat sheets, two at a time. Half sheet on the left, “baking sheet” on the right–juuuuust a hair shorter. Actual oven operation takes some getting used to. I push the on button, dial up the temperature (in Celsius, of course), set the timer, and hit start. When the timer runs out or the oven door is opened the oven immediately shuts off. Every time. It’s irritating. The result? Meh. The oven is so small that it’s impossible to keep the cookies away from the oven walls, which are the hottest parts of the oven. So the resulting cookies baked unevenly, as you can see below. Not terrible, but not great either. If the bake time were longer I would rotate pans, but this doesn’t work with short bake times like eight minutes. Not bad for a first effort. Bake on! Nope, not a euphemism. I’m talking about actual potato salad, in Japan. The offering from Baytown’s grocery store, 145yen for 98 grams (roughly $5.70/lb). Any time I pass near a prepared foods section of a grocery store, I always end up buying a small portion of potato salad. I used to buy some only when I was actually shopping for prepared foods, but I’ve given up practicing any restraint and get it pretty much every time I see it. Which is often. 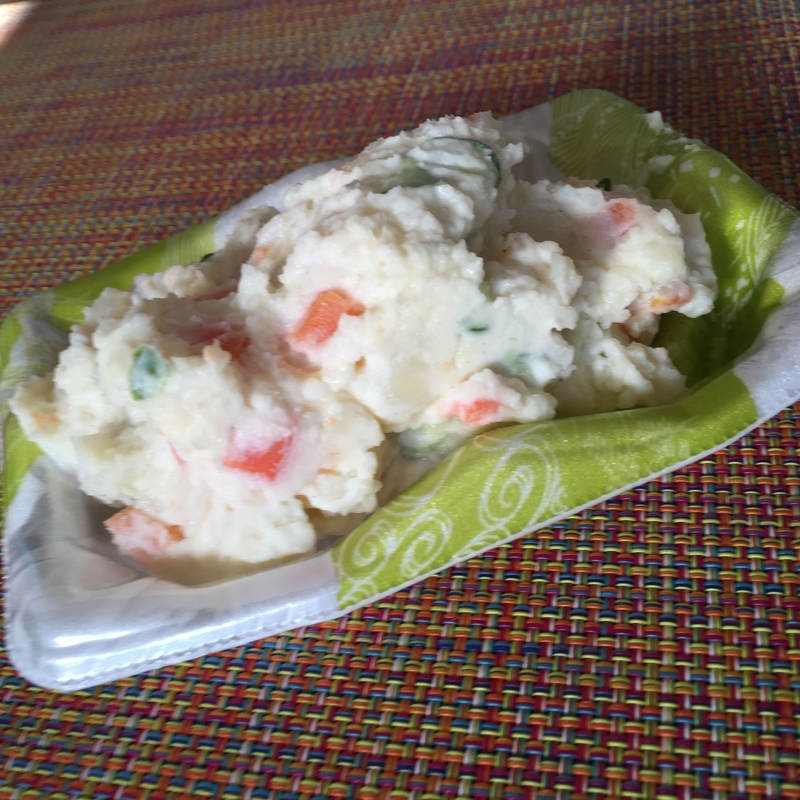 Which means that I eat a lot–and I mean a lot–of potato salad. 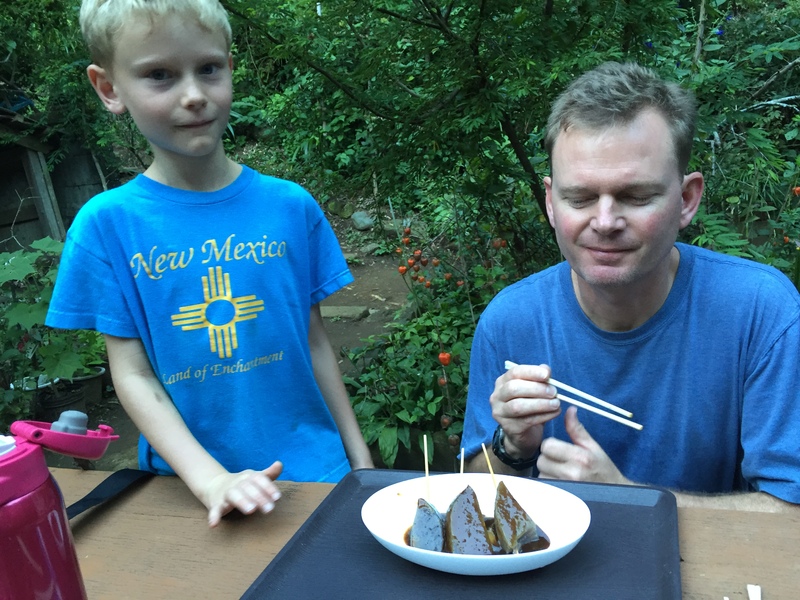 Many of you would not consider this a particularly Japanese dish, but I see it all over, both in grocery stores and restaurants. And that’s it. There’s nothing terribly unusual about any one ingredient. But put the all together and it’s magic. Gone in the time it took to write this post! 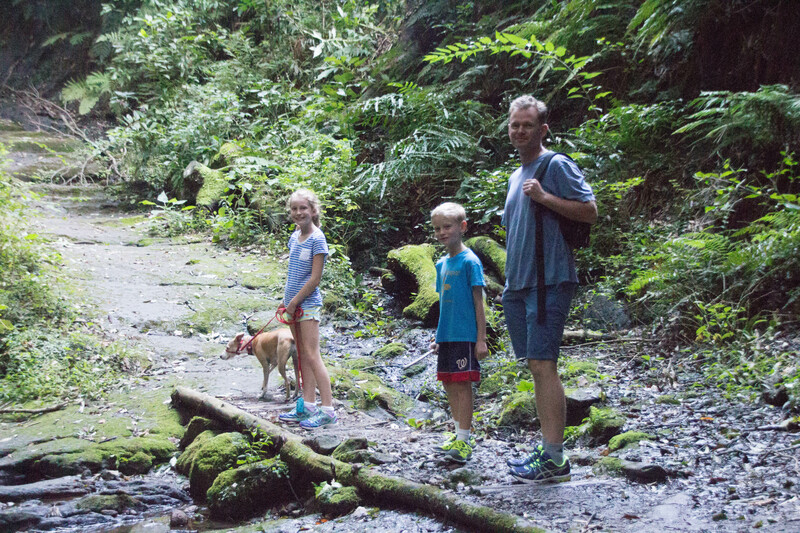 We live on a really steep slope, well above sea level. 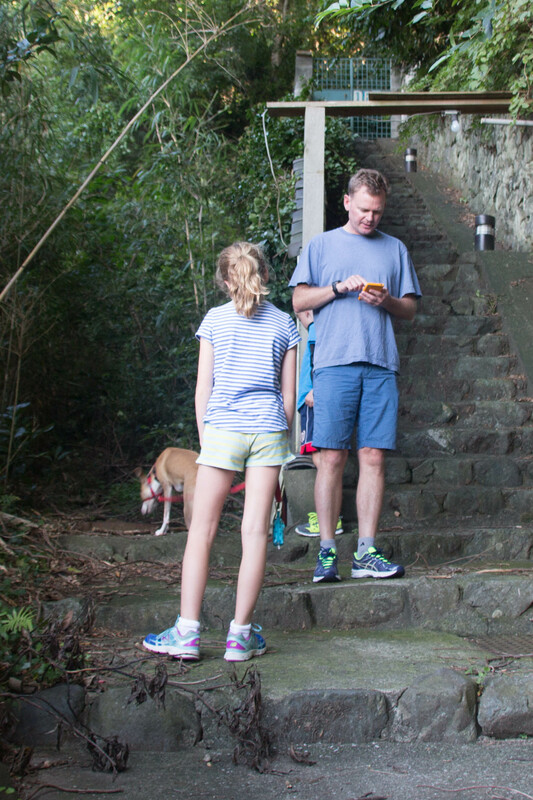 The hillside is steep enough that sidewalks to the bottom are flat-out flights of stairs. We descend 187 steps down one such pathway to reach our nearest train station, Negishi station. 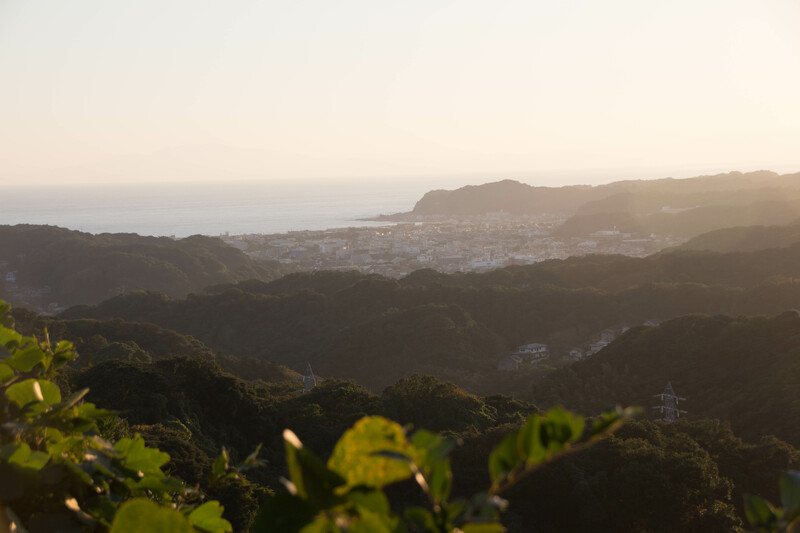 Twenty steps from the top sits a small Buddhist temple called Sokoji. The temple’s entrance; looks like an incense burner to me! 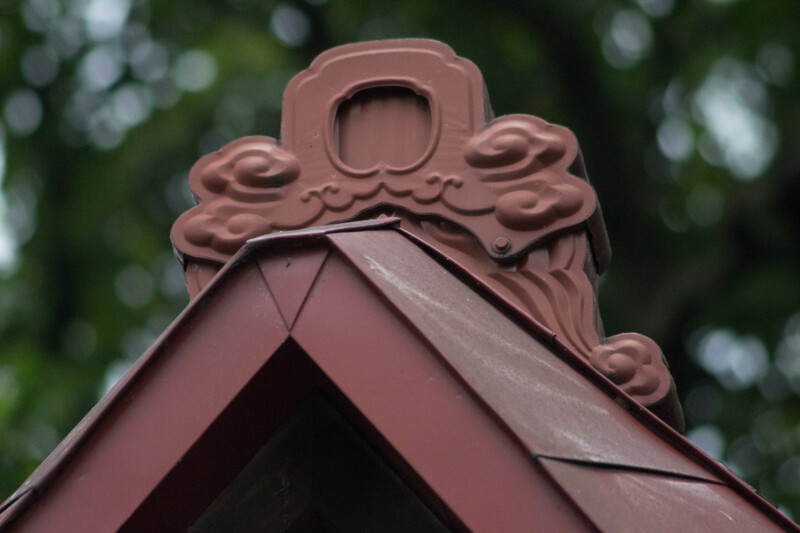 So using the clues before me (and the “Sokoji Temple” label on Google maps), I’m guessing that this is a Buddhist temple. 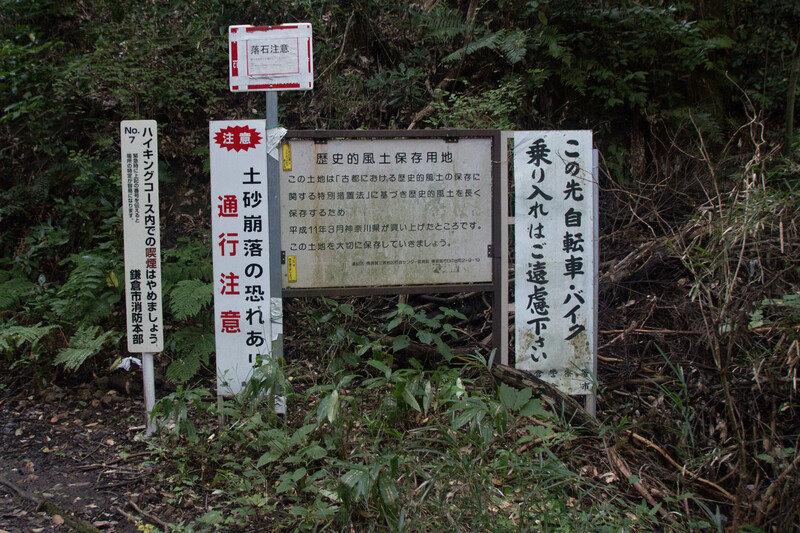 Unfortunately the koma-inu lion/dogs muddy the waters a bit. 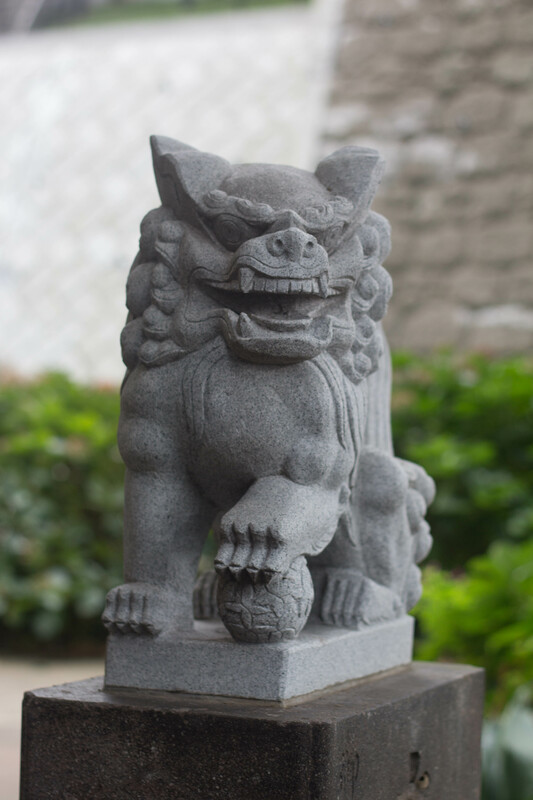 If this is a Buddhist temple, then why are there Shinto-style dogs out front? 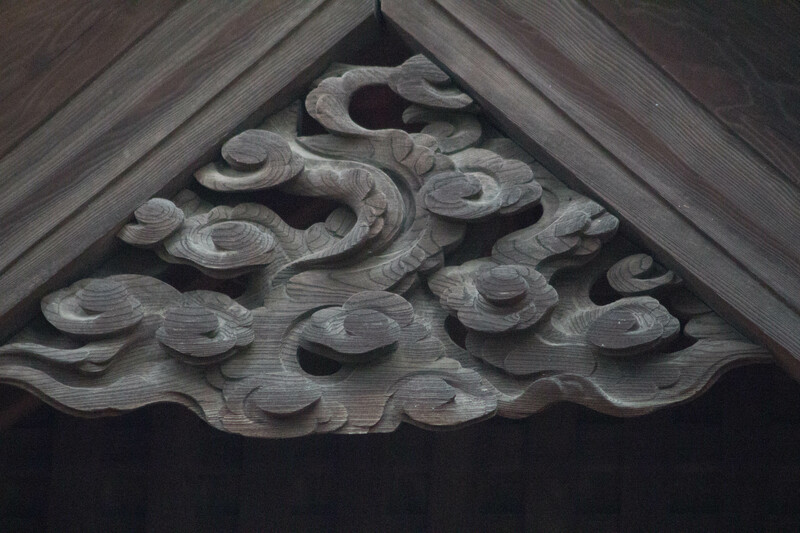 This interesting piece from the Japan Times talks about the syncretism, or weaving together of religions, that started back in the eighth century. Buddhist temples were often built right next to Shinto shrines, and the religions have blended and blurred off and on ever since. Back to “my” koma-inu. 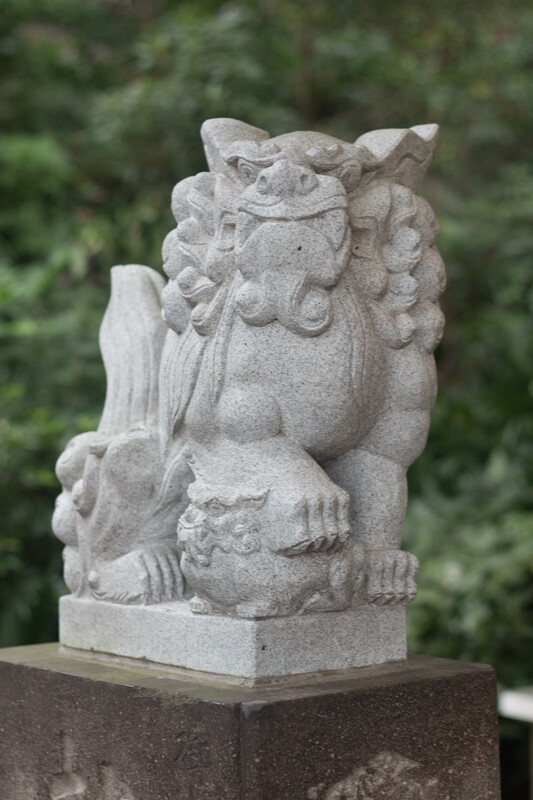 They guard the temple or shrine in pairs; as at Shinto shrines, one has its mouth open, and the other’s is closed. 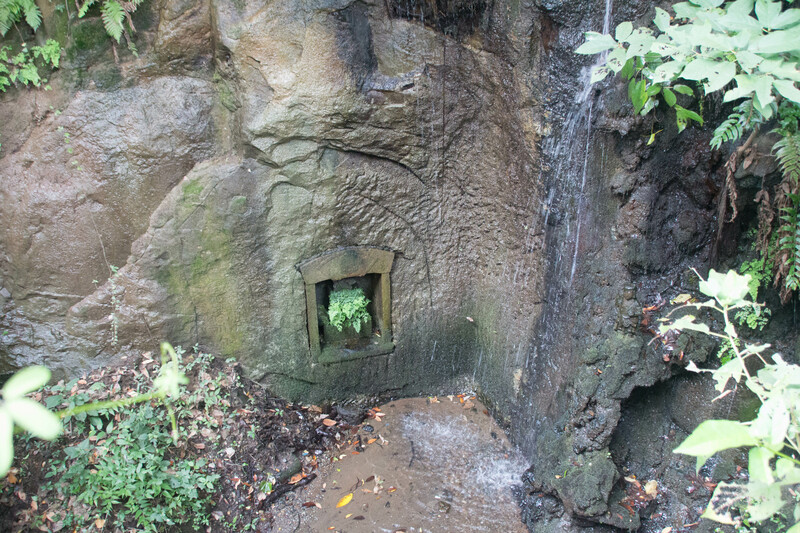 Off to the side of the temple, a small spring erupts from the hillside. 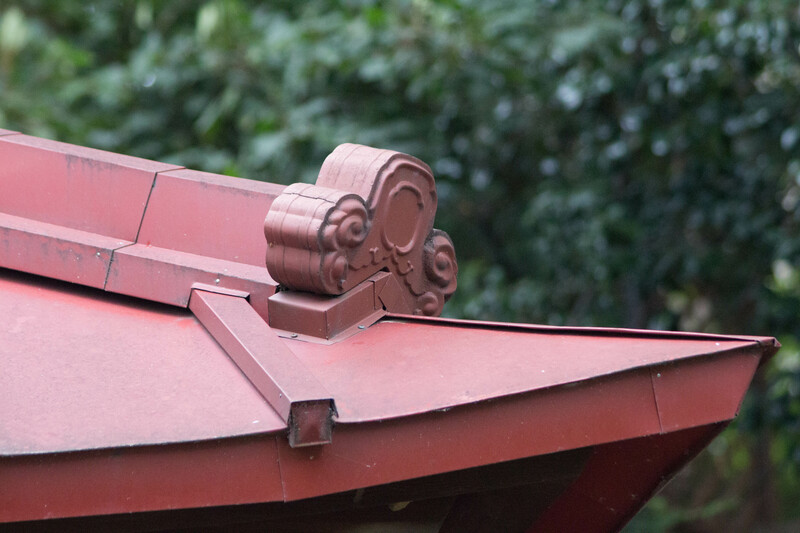 It’s really lovely, and the sound of the splashing water adds to the temple’s tranquility. 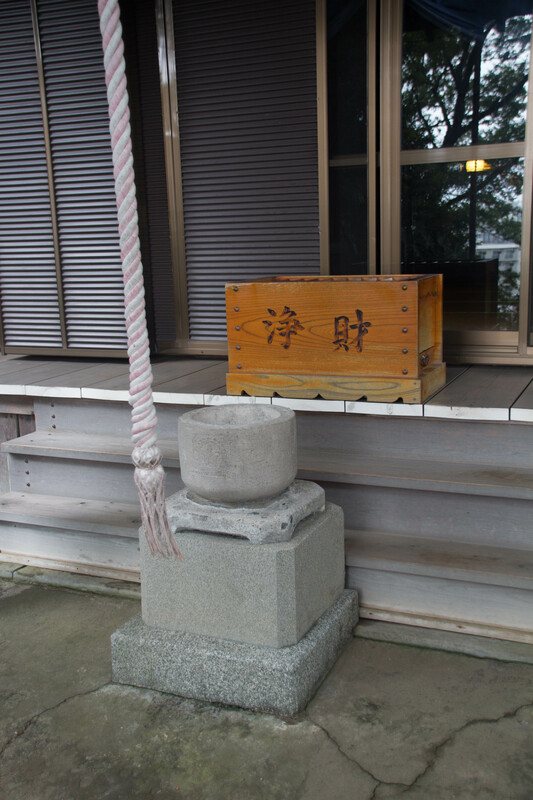 Small temples and shrines are scattered throughout the neighborhoods; two more sit just a few minutes’ walk from our house, and in the coming weeks I’ll visit those too.